Finding a vaccine to protect people from HIV has been the holy grail of HIV/AIDS research for decades. Most attempts have failed because the virus is able to rapidly mutate, rendering most vaccines ineffective. Now US researchers have created a vaccine that has managed to get to the first step, with 400 healthy uninfected adults mounting an immune response to the vaccine and 67 per cent protection against SHIV - closely related to HIV - in monkeys. It is one of only five experimental vaccines to make it this far since the HIV/AIDS epidemic began. But it remains to be seen whether the vaccine will make it past the next crucial step in which it will be given to 2,600 at-risk women in Southern Africa to see if it can protect them from infection. Funder: Janssen Vaccines & Prevention BV, National Institutes of Health, Ragon Institute of MGH, MIT and Harvard, Henry M Jackson Foundation for the Advancement of Military Medicine, US Department of Defense, and International AIDS Vaccine Initiative. New research published in The Lancet shows that an experimental HIV-1 vaccine regimen is well-tolerated and generated comparable and robust immune responses against HIV in healthy adults and rhesus monkeys. Moreover, the vaccine candidate protected against infection with an HIV-like virus in monkeys. Based on the results from this phase 1/2a clinical trial that involved nearly 400 healthy adults, a phase 2b trial has been initiated in southern Africa to determine the safety and efficacy of the HIV-1 vaccine candidate in 2,600 women at risk for acquiring HIV. This is one of only five experimental HIV-1 vaccine concepts that have progressed to efficacy trials in humans in the 35 years of the global HIV/AIDS epidemic. Previous HIV-1 vaccine candidates have typically been limited to specific regions of the world. The experimental regimens tested in this study are based on ‘mosaic’ vaccines that take pieces of different HIV viruses and combine them to elicit immune responses against a wide variety of HIV strains. In the 35 years of the HIV epidemic, only four HIV vaccine concepts have been tested in humans, and only one has provided evidence of protection in an efficacy trial—a canarypox vector prime, gp120 boost vaccine regimen tested in the RV144 trial in Thailand lowered the rate of human infection by 31% but the effect was considered too low to advance the vaccine to common use. A key hurdle to HIV vaccine development has been the lack of direct comparability between clinical trials and preclinical studies. To address these methodological issues, Barouch and colleagues evaluated the leading mosaic adenovirus serotype 26 (Ad26)-based HIV-1 vaccine candidates in parallel clinical and pre-clinical studies to identify the optimal HIV vaccine regimen to advance into clinical efficacy trials. The APPROACH trial recruited 393 healthy, HIV-uninfected adults (aged 18-50 years) from 12 clinics in east Africa, South Africa, Thailand, and the USA between February 2015 and October 2015. Volunteers were randomly assigned to receive either one of seven vaccine combinations or a placebo, and were given four vaccinations over the course of 48 weeks. To stimulate, or 'prime', an initial immune response, each volunteer received an intramuscular injection of Ad26.Mos.HIV at the start of the study and again 12 weeks later. The vaccine containing ‘mosaic’ HIV Env/Gag/Pol antigens was created from many HIV strains, delivered using a nonreplicating common-cold virus (Ad26). To 'boost' the level of the body's immune response, volunteers were given two additional vaccinations at week 24 and 48 using various combinations of Ad26.Mos.HIV or a different vaccine component called Modified Vaccinia Ankara (MVA) with or without two different doses of clade C HIV gp140 envelope protein containing an aluminium adjuvant. Results showed that all vaccine regimens tested were capable of generating anti-HIV immune responses in healthy individuals and were well tolerated, with similar numbers of local and systemic reactions reported in all groups, most of which were mild-to-moderate in severity. Five participants reported at least one vaccine-related grade 3 adverse event such as abdominal pain and diarrhoea, postural dizziness, and back pain. No grade 4 adverse events or deaths were reported. In a parallel study, the researchers assessed the immunogenicity and protective efficacy of the same Ad26-based mosaic vaccine regimens in 72 rhesus monkeys using a series repeated challenges with simian-human immunodeficiency virus (SHIV)—a virus similar to HIV that infects monkeys. The Ad26/Ad26 plus gp140 vaccine candidate induced the greatest immune responses in humans and also provided the best protection in monkeys—resulting in complete protection against SHIV infection in two-thirds of the vaccinated animals after six challenges. The authors note several limitations, including the fact that that the relevance of vaccine protection in rhesus monkeys to clinical efficacy in humans remains unclear. They also note that there is no definitive immunological measurement that is known to predict protection against HIV-1 in humans. 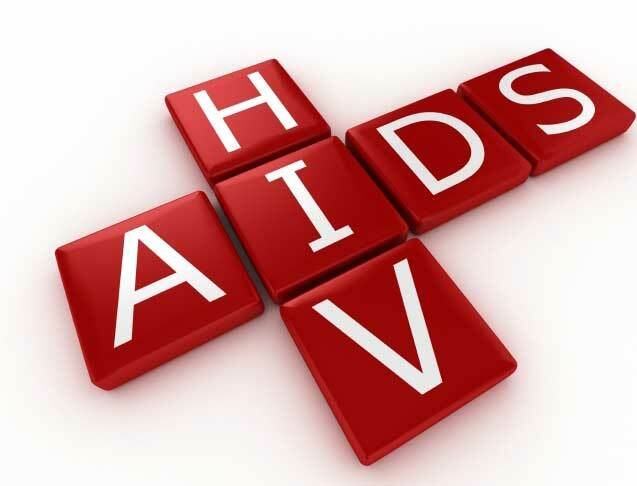 The authors report an HIV vaccine trial conducted in participants from East Africa, South Africa, Thailand, and USA. They tested a mosaic vaccine constituting portions of a non-HIV virus plus 3 of the most important proteins found on the surface of HIV. This trial evaluated the safety, tolerability and efficacy of the vaccine in 393 healthy volunteers. At the same time the team injected monkeys with the same vaccine and later challenged them with an HIV-like virus. The researchers showed that the vaccine caused a strong anti-HIV immune response in HIV-negative volunteers up to week 50. Interestingly the vaccine caused a similar immune response in monkeys. The evidence gives strong optimism since previous attempts were illusive and it provides a new benchmark for future improvements. The road to the clinic is still unpredictable since the exact mode of action in humans is still unknown and the 67% protection in monkeys might not be replicable in humans. The vaccine would go far in shrinking an epidemic expanding by 1.8 million annual new infections, many of which might be resistant to some drugs in clinical use. The paper by Barouch and colleagues has provided evidence from studies in human volunteers and monkeys that a vaccine containing components of multiple types of HIV (so called mosaic HIV vaccine) is able to induce strong immune responses and, furthermore, defined the optimum way of delivering the vaccine. These findings certainly provide hope that a universal HIV vaccine might be achievable. However, research in recent years has highlighted that it is critical to not only induce immune responses, such as antibodies, but responses with effective functions. The ‘gold standard’ functional test is prevention of HIV or SHIV (the equivalent in monkeys) infection. This was achieved in most monkeys tested in the study reported in this paper. A future study will determine if this is achievable in humans. We are still learning about which functions of HIV antibodies are most important and how these should be assessed, so it will be important in the human study to define which antibody functions are associated with protection from HIV infection.